Kim is a fabulous adventure story set in India during the former British Empire. 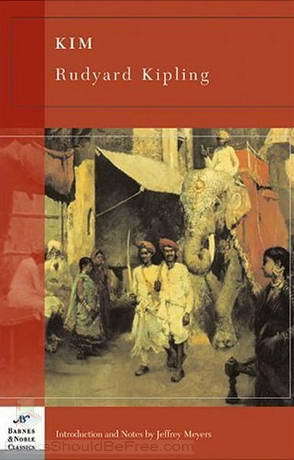 It tells the story of a street-wise but (in typical Kipling fashion) highly moral Anglo-Indian boy who becomes enmeshed in “the Great Game” -– the competition between Britain and Russia for control over Asia. Taking time off from his role as the traveling companion of an aged Tibetan lama, the boy is trained as a spy, matches wits with various evildoers, and wins out in the end. So much more than just a spy story, Kim is one of the most enjoyable books that you will ever read — or have read to you.